MINERVA is a single player Half-Life 2 mod that takes mod storytelling to the next level, engaging you in most of the stuff that is happening. 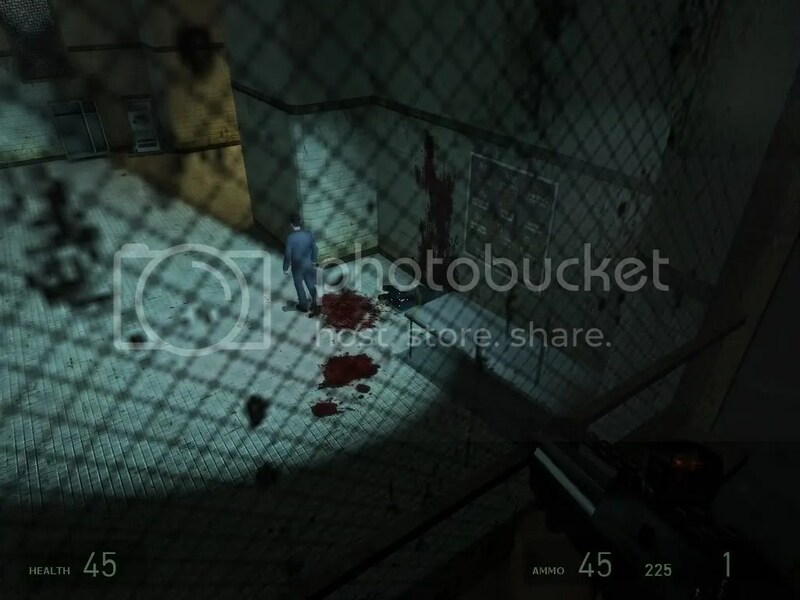 Maybe not so much as Half-Life 2 itself did, but it dilivers more than you’d expect from a mod. The game begins on an island invaded by the Combine. You’re dropped there by a group that is attempting to investigate the island and find out what’s there. You’re directed by a tezt scroll in the upper left corner of the screen (at least I think it’s the upper left, I haven’t played MINERVA in awhile). It tells you to go to certain places on the island and complete certain tasks. The tasks were a bit hard to follow because it was only text and it went by a little too fast, causing me to have to reload earlier save files to learn what my next ojective was. In the beginning, it feels like just anyother mod, walking across the surface of the island shooting Combine soldiers, then going inderground to fight zombies, then going up again to fight more Combine. But then, after some time the observer starts to talk a bit about your past. Basically you learn that you betrayed the humans and they’re using you to do their bidding in payment for his sins. Rough. Anyways, the plot definitely thickens as you learn more and more what your group really needs you for (or whether they need you at all). I startedtp actually feel for the character I was playing as, merely because the writing was so good, and towards the end the player will be fully immersed in the story. It’s gripping, it’s suspenseful, it’s really fun. MINERVA is not flawless though. As I said before, I had to reload save files to read text. I think I had to do it eight or more times. Nonetheless, this is a great mod and you’d be wise to play it ASAP. MINERVA: Metastasis, remember the name, because this mod has an awesome story, and really sinks in at the end (which is nowhere near anti-climactic). Another single player mod, Riot Act takes place in a Combine prison that’s being attacked by an antlion horde. Your character, named Jamil, had his cell door left open. You escape, find a crowbar (of course) and an SMG/ammo supplying ally in the beginning. As you progress you will find more allies who you able to recruit as you start your riot. In the process you defeat an antlion guardian and gain control of the antlions, as you did in Half-Life 2. According to your supplier, Alyx Vance and Gordan Freeman are the cause of the antlion attack. Don’t know how, but they are. That is not to say that it is a canon mod (though I like to think that it is). It’s merely a neat plot point they put in the story. Even though Riot Act is primarily an action packed adventure mod, it does have a plot twist in it that I won’t spoil for you. It isn’t major, but let’s just say I grew attached to my little party after awhile. Riot Act is about as short as Portal, but definitely long for a mod. There were moments when I thought it was over when it had merely begun. It provides loads of action sequences that make you feel like a super hero. Oh, and the last battle (which I will also not spoil for you) is a really intense and surprising moment. Overall, you should play Riot Act. You can get it from Steam any time you want for free. It’s fun, it’s exhilarating, hell, it’s a friggin’ riot act! And that concludes the double feature for this evening. This is Liak Lienad, signing off. WARNING: You must own Half-Life 2 to get these mods.